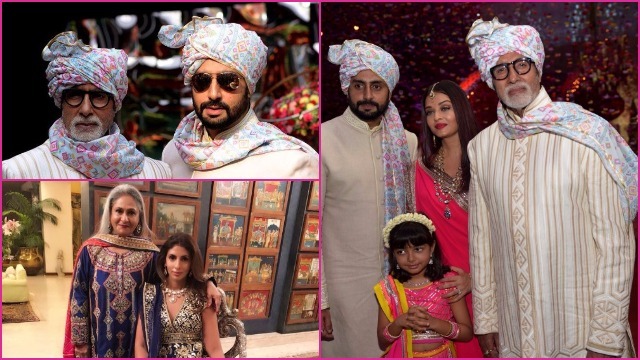 Aishwarya-Abhishek, Amitabh-Jaya, Shweta Nanda, Aaradhya redefined royalty at a recent family wedding. 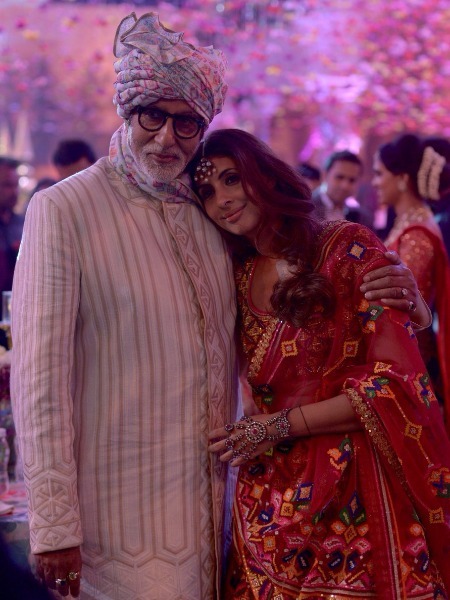 The Bachchan gang had a get together in a very royal way at one of their family wedding. 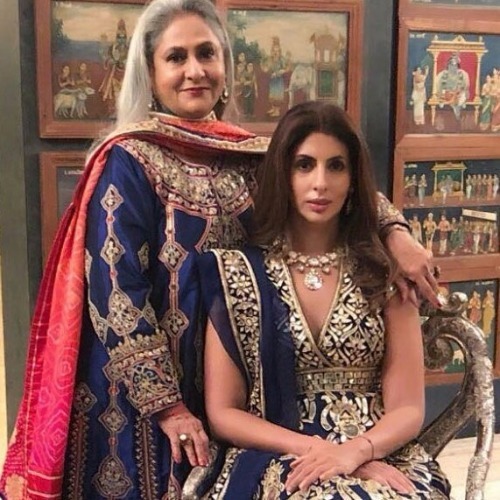 Coming from the film background and having millions of fan followers, the family surely knows how to rock at the wedding. 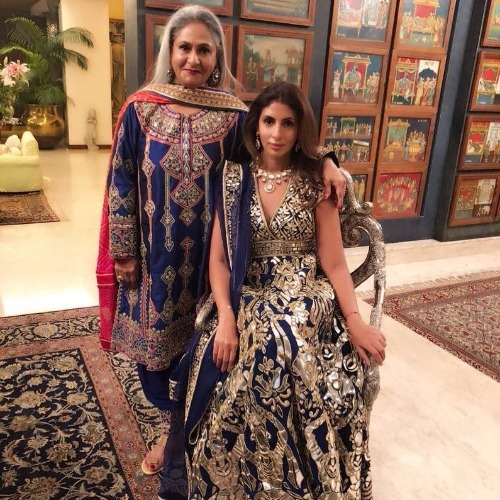 Having themselves pleated in designer attire, father-son Abhishek Bachchan-Amitabh Bachchan, mother-daughter Jaya Bachcan-Shweta Nanda are twinning in Abu Jani Sandeep Khosla outfits. 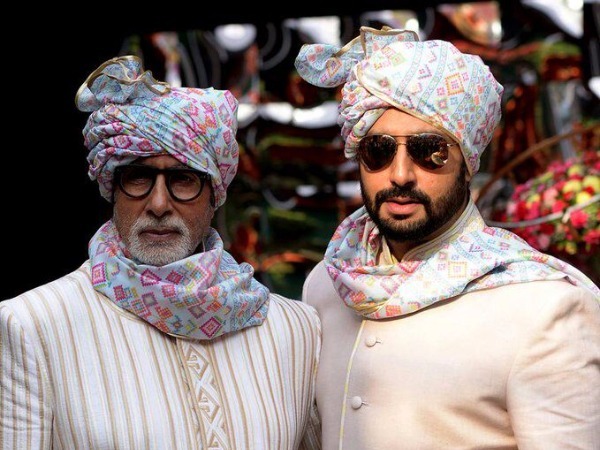 The men of the family in safa(headgear) is giving us baraati swag like any other typical wedding of India. 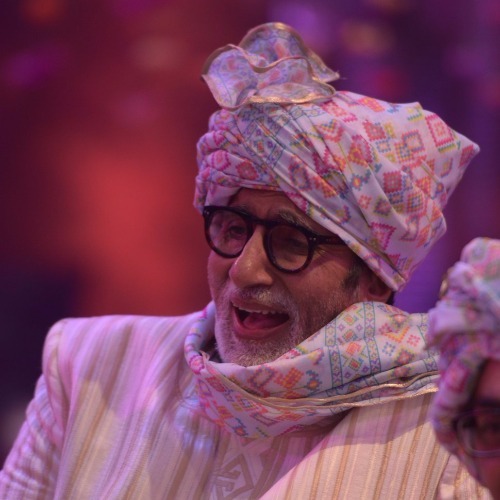 Amitabh Bachchan shared the happy faces from the marriage and I tell you, the smiles in the pics are million dollar worth. 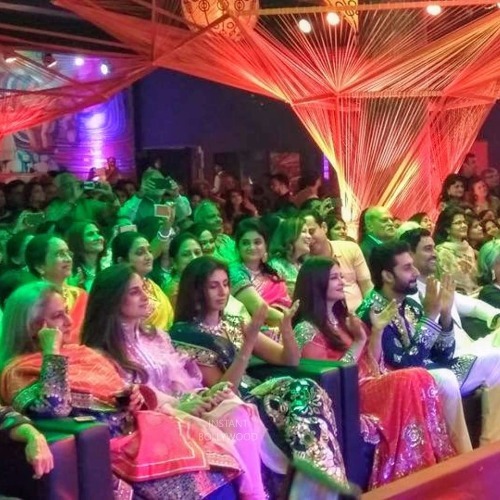 Also Read: Shahid Kapoor and Deepika Padukone Turn Heads For GQ Fashion Nights! The pics are so adorable that you wont be able to decide who is stealing the limelight. 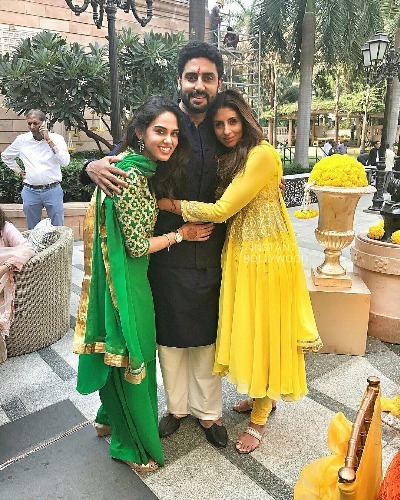 Is it Aaradhya’s traditional lehenga or Amitabh’s big smile, brother Abhishek with sister Shweta twinning in same outfit or mother Jaya with daughter Shweta in royal outfit. 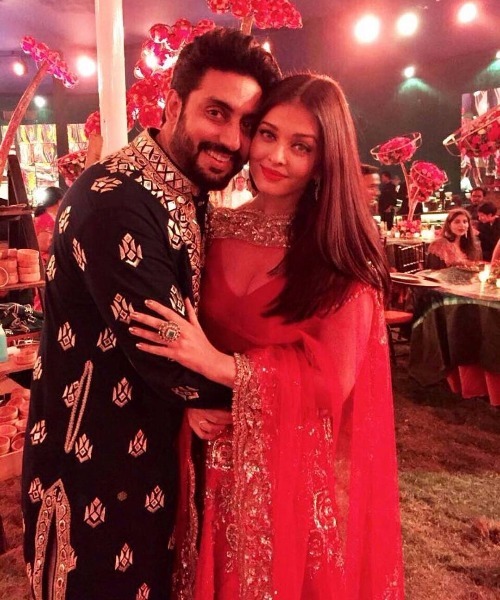 As desert is served at the end so is Aishwarya Rai Bachchan’s pic we have revealed at the end. 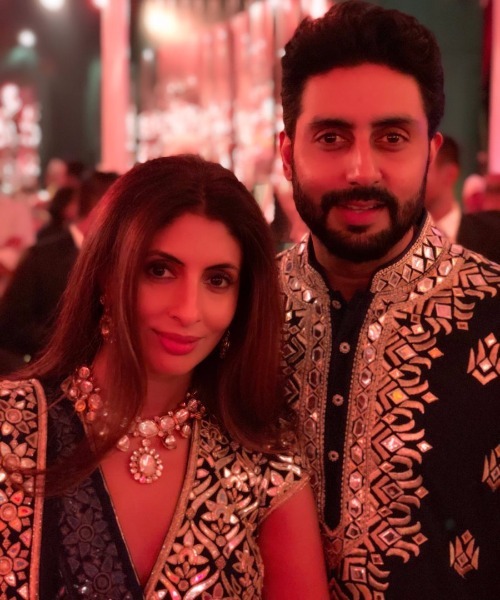 Bollywood’s most lovely couple Abhishek Bachchan and Aishwarya Rai Bachchan posed together giving us major couple goals. 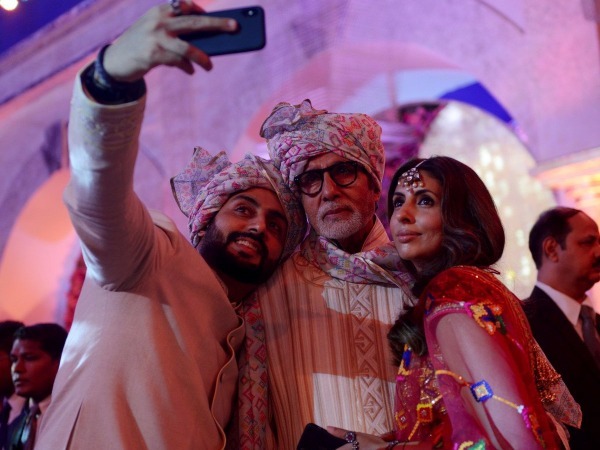 Check the pics of Bachchan family and their swag. 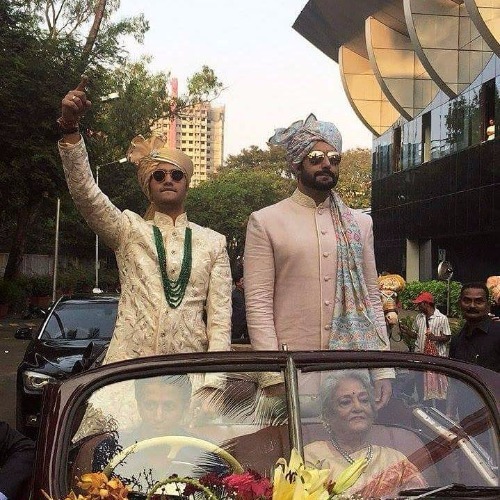 Yeh hoti hai Indian waali shaadi. 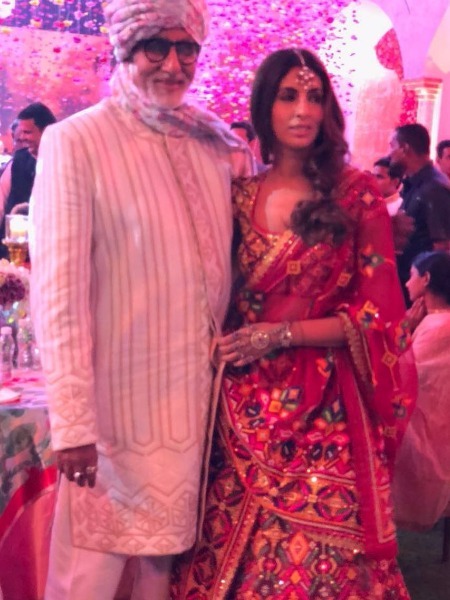 Didn’t I tell you it’s tough to decide who remained the limelight of the wedding. What do you think? Previous : Karan Singh Grover, Ayushmann Khurrana, Anil Kapoor Look Uber Stylish At GQ Fashion Nights 2017! 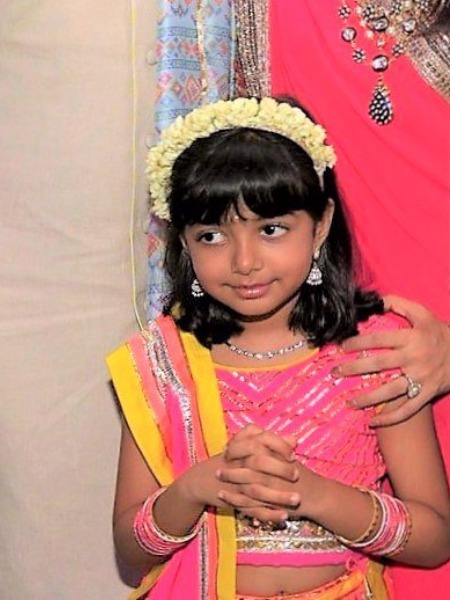 Next : Photos: Shahid Kapoor-Mira Rajput’s Adorable Daughter Misha Is Painting The Town Red!